As Joel Rosenburg, former aide to Benjamin Netanyahu, put it, “[I]n order to bring about this Islamic messiah, the Mahdi, the 12th imam, Islamic leaders need to hasten his coming by destroying little Satan, Israel, and the great Satan, the United States. … [T]he leaders actually believe they need to create bloody carnage, the death of millions of people in order to create the conditions for the Mahdi to bring peace” (emphasis added throughout). Khamenei has created several centers in Iran devoted to the research of the coming of the Mahdi, and there’s even an annual conference on Mahdiism. In 2004, during his tenure as mayor of Tehran, Ahmadinejad constructed a “grand avenue” in preparation for the Mahdi’s return. When he became president in 2005, he allocated $17 million for a blue-tiled mosque in Jamkaran (south of the capital), closely associated with mahdaviat. Inside Iran, both Khamenei and Ahmadinejad have been quite literally preparing the place to which they believe the Mahdi will return. Ahmadinejad’s conviction is so strong, he even stood in front of a room full of United Nations leaders in New York and prayed for Allah to help him hasten the Mahdi’s return—which he could only do by precipitating a holocaust-type event! One can hardly overstate the influence of Twelver theology on Iranian national and foreign policy. “From redressing the gulf between rich and poor in Iran, to challenging the United States and Israel and enhancing Iran’s power with nuclear programs, every issue is designed to lay the foundation for the Mahdi’s return,”wrote Scott Peterson. When you read these statements, you begin to grasp exactly what is at stake right now in the Middle East! Problem is, too few are paying any attention to these facts! 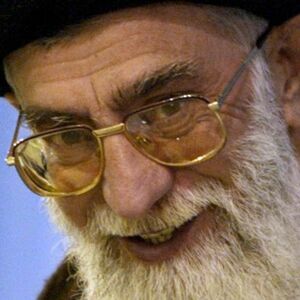 If you’ve been reading the Trumpet, you may recognize some of the similarities between Ayatollah Khamenei’s belief in the return of the 12th imam, and the Trumpet’s long-standing prophecy about the return of Jesus Christ. In reality, the Twelver doctrine is a twisted counterfeit of more than a few biblical prophecies, all of which were canonized long before the emergence of Islam. In Matthew 24:21-22, for example, Jesus Christ Himself describes the events that surround His return. That passage reads, “For then shall be great tribulation, such as was not since the beginning of the world to this time, no, nor ever shall be. And except those days should be shortened, there should no flesh be saved [“saved alive,” the Moffatt translation says]: but for the elect’s sake those days shall be shortened.” Notice, Jesus Christ will return and shorten those days! “The motive of his god is the exact opposite of what Christ will do,” Mr. Flurry wrote.